Ricardo plc claims to have manufactured over 2,000 engines in the six months to the end of October, claiming this as a record for the company, and more than achieved in any previous full year. 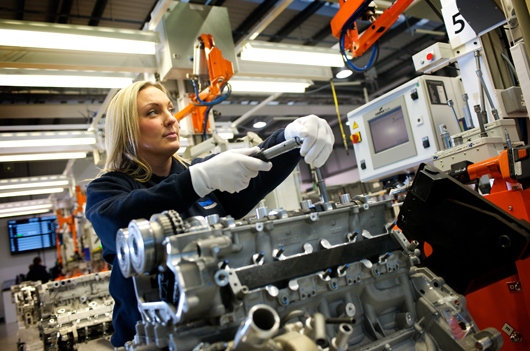 The increase has been facilitated by the expansion of the advanced assembly facility at Shoreham. The facility was formerly opened earlier this year. Ricardo claims it has produced a “diverse range of state-of-the-art prototype engines which it has built for “numerous global clients”. Ricardo’s engine production has served a total of 15 major automakers and engine suppliers, providing everything from prototypes through pre-production units, to niche volume series production of high performance products. Below Louisa Higgs is working on engine assembly and test. The breadth of this engine manufacturing activity ranges from single cylinder engines used for research purposes through to V12 engines for marine and power generation. It also encompasses cylinder bore sizes up to in the region of 200 mm and pressures of greater than 300 bar, and both naturally aspirated and multi-stage boosted engines, including next generation hybrid powertrain systems. 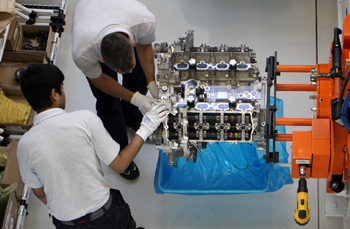 Despite the production of a record-breaking total of over 2,000 engines in six months, the expansion of Ricardo’s advanced assembly plant and continued investment in its prototype engine build facilities, means that there is considerable further capacity available to support the future prototype and niche production requirements of the company’s international client base.